Are Political Dances Getting Less Strident? Usually political dances are not high on artistry. They tend to blare their messages for the sake of emphasis rather than subtlety. But recently I’ve seen a number of pieces focusing on social justice or the environment that moved me, not so much with their message but with artistry: Liz Lerman’s Healing Wars, Kyle Abraham’s When the Wolves Came In…, and Jill Sigman’s (Perma)Culture. 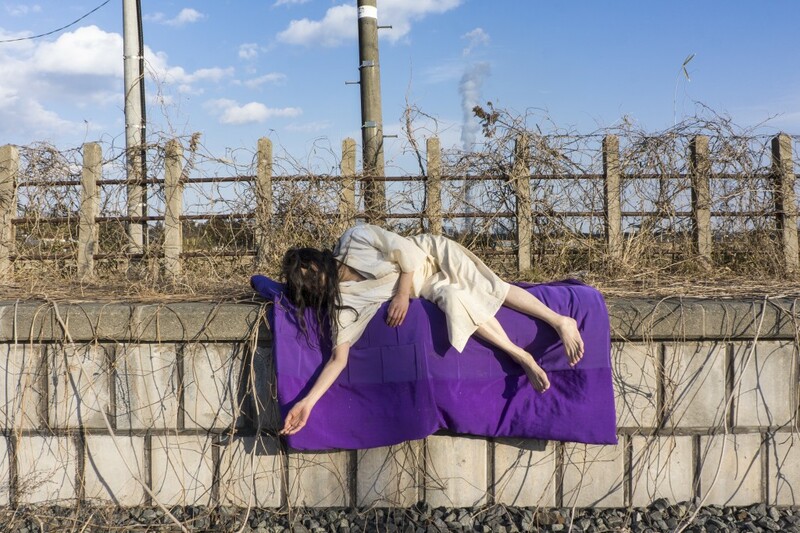 Also, via the screen, Eiko’s A Body in Fukushima. They speak to us gently rather than stridently. (The first three have made more explicit socially-minded works in the past.) Yes, it’s mostly preaching to the converted, so they are not going to change many minds. But it is less about preaching and more about creating a poetic experience out of something they passionately believe in. And that’s inspiring. When Healing Wars came to Peak Performances in Montclair, NJ, a few weeks ago, the audience entered the theater through backstage, coming upon scenes that prepared us for Lerman’s onstage story about the civil war. We saw a woman in a hoop skirt change into a man’s military uniform. (Many women disguised their gender so they could fight.) We saw an Iraqi war veteran on a bench talking casually about his prosthesis. When we took our seats in the house, those characters were fleshed out in greater complexity and poignancy. A narrative on the history of wartime healing guided the flow of the action, text, and visual design. 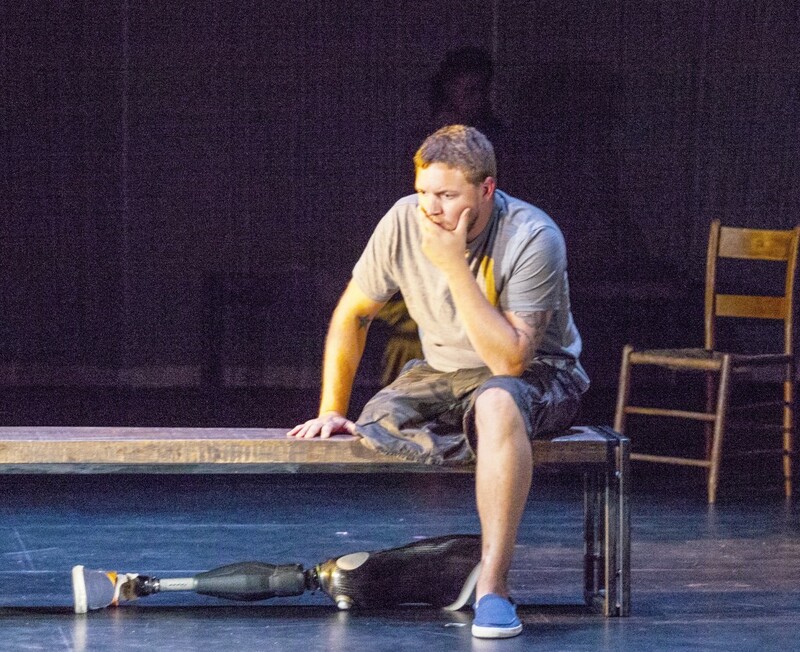 The most moving section was when Paul Hurley, the amputee, relived the attack in which he lost his leg and his best buddy. 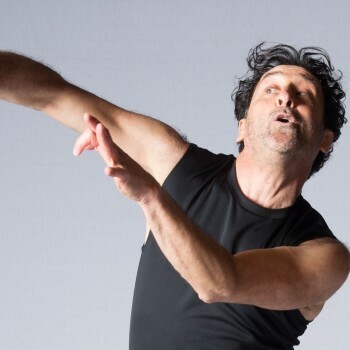 The pairing of Hurley with Keith Thompson, a former Trisha Brown dancer, as the buddy, in a slow-mo re-enactment was a highpoint. 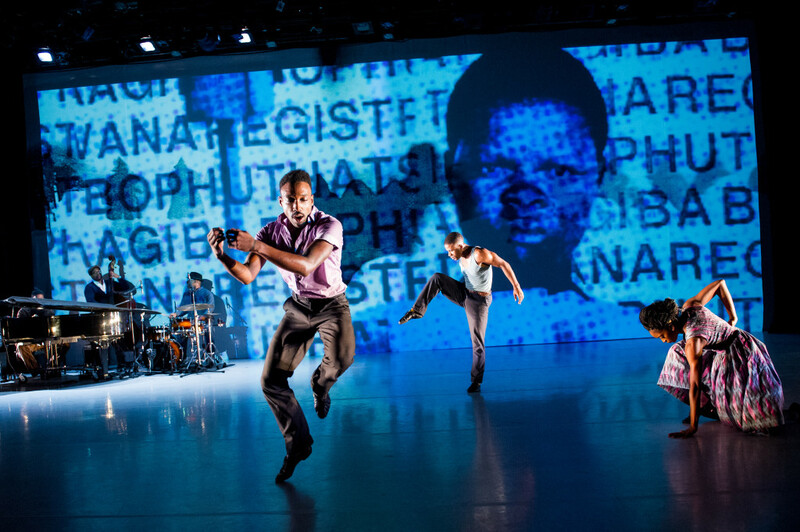 In Abraham’s “Gettin’,” the third piece in his trilogy When the Wolves Came In… at New York Live Arts, I felt only distantly aware that this was about civil rights and apartheid. The projections on the backdrop showed images like a “Whites Only” sign, and the music by Robert Glasper was based on “We Insist!” (Max Roach’s Freedom Now Suite). But it was Abraham’s slippery/strong movement amalgam that claimed my eyes. (Siobhan Burke has a great description of it in her review.) It was only when singer Charenee Wade let out some serious hollering that the sense of struggle reached the pitch of rage. And in Jill Sigman’s (Perma)Culture at Danspace, the dancers improvised within a structure, allowing their individuality to surface. No text, no speechifying about the virtues of sustainability. 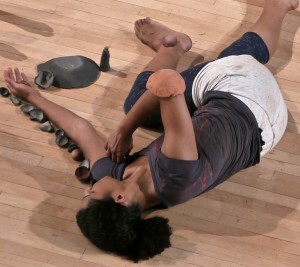 But at the end, when they started placing small clay objects on each other and invited the audience to join them, the trust between performer and audience member made you feel part of a community of people who care about the environment. None of these dances heralded surprising messages. But they encouraged us to be more conscious of—and maybe do something about—the social and environmental injustices in our midst. 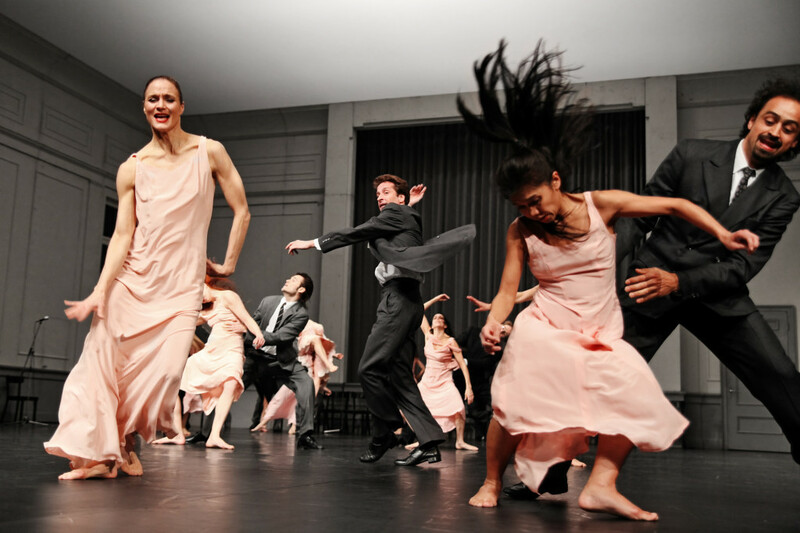 I was fascinated and appalled by Pina Bausch’s Kontakthof when I saw it in 1983. As I wrote at the time, “The work was amazing in its craft, its looniness, its integration of movement, text, acting and film—and its brutality.” The topic was heterosexual attraction, but each budding romance came up against a wall of stubbornness—bullying, actually—but with that special Bauschian obsessiveness that somehow turns it into art. So, am I recommending that you see Kontakthof when it comes to BAM Oct. 23 to Nov. 2? Yes, for two reasons. First, because Bausch’s work in the last decade of her life was so full of sensuality and delight—I’m thinking of pieces like Nelken and Bamboo Blues (which graces the cover of my book)—that we sometimes forget what an unflinching vision of male-female mayhem she could project. 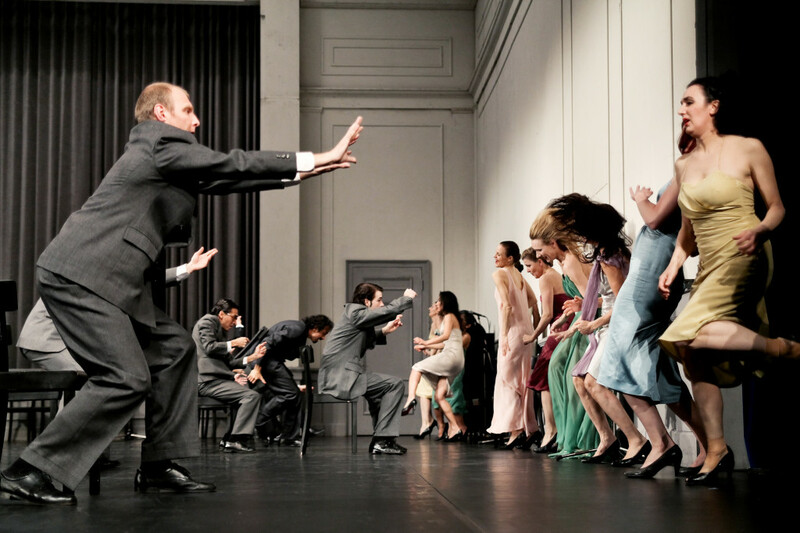 Second, because after Bausch’s death in 2009, the company can still fill the stage with many stories at once. And maybe, just maybe, that edge of brutality has softened a bit. 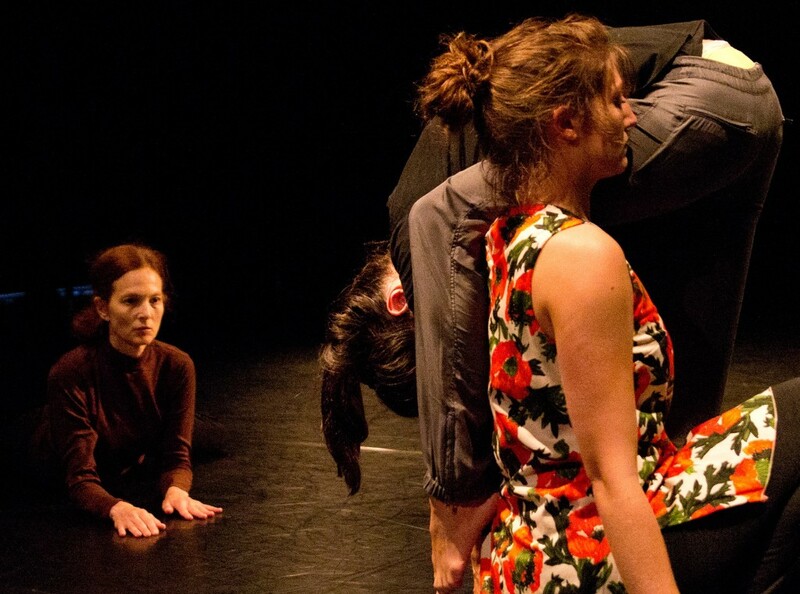 After all, Bausch chose this piece as a lens through which to look at two other age groups. A beautiful documentary (Dancing Dreams) was made about teenagers learning Kontakthof—with the brazen Josephine Ann Endicott as coach. (Click here for an amazing clip of that film.) And in England, Bausch made a version for people over 65. So, how did it happen that I reviewed Tanztheater Wuppertal Pina Bausch a year before it first came to BAM in 1984? I had been invited to perform a solo at a gallery in Basel, Switzerland, and it turned out to be the same week her company appeared at the city’s Kunsthalle. I had a kind of love-hate reaction to it, but of course ambivalence is a time-honored position from which to write. Now I feel fortunate that my Bausch viewing stretches back that far, and I hope it stretches into the future too. Talking about stories, when she received the Dance Magazine Award in 2008, Pina told a beautiful story about coming to New York as a Juilliard student. This was just a few months before she died, and we caught it on video. To get tickets to Kontakthof, click here. Jodi Melnick, the tantalizing dancer who brings a sense of glamour to downtown dance, has created a new work for her first BAM performance, Oct 8–11. Titled Moment Marigold, it’s a trio with Maggie Thom (read her Why I Dance) and EmmaGrace Skove-Epes, with music by Steven Reker of People Get Ready. Though Melnick has brought her brilliance to works by Twyla Tharp, Sara Rudner, Vicky Shick, Susan Rethorst, and has collaborated with Trisha Brown, she has an aesthetic all her own. Quirky yet elegant, intense yet cool, she’s the kind of performer you can’t stop watching. 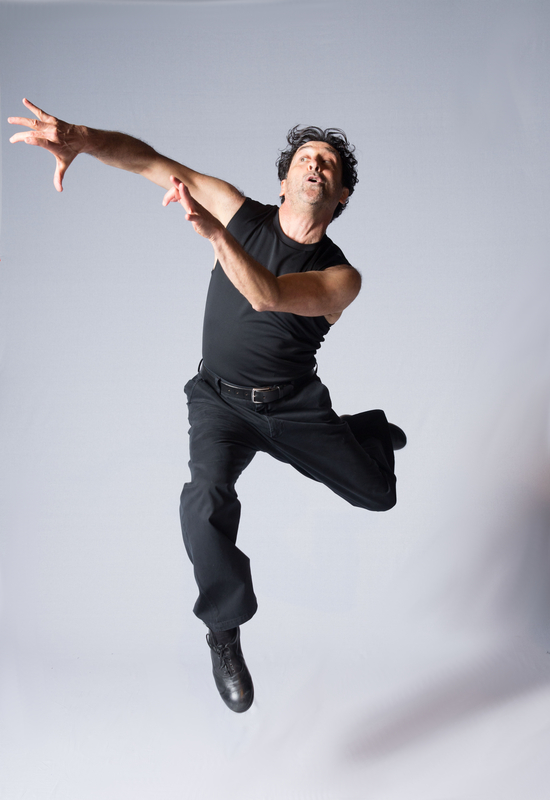 Moment Marigold is, according to the press release, “an exploration of the stories within our bodies.” I’ve caught several of Melnick’s moods in her own choreography, from a poignant sense of loss to an exploration of zany partnering with David Neumann. Enough said. Click here to find out how to see her.